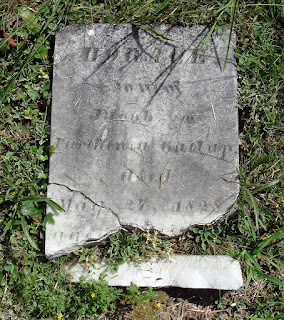 (Transcript from Hale Survey) Gallup, Horace, son of Jacob & Parthenia, died May 27, 1828, age 8 mos. 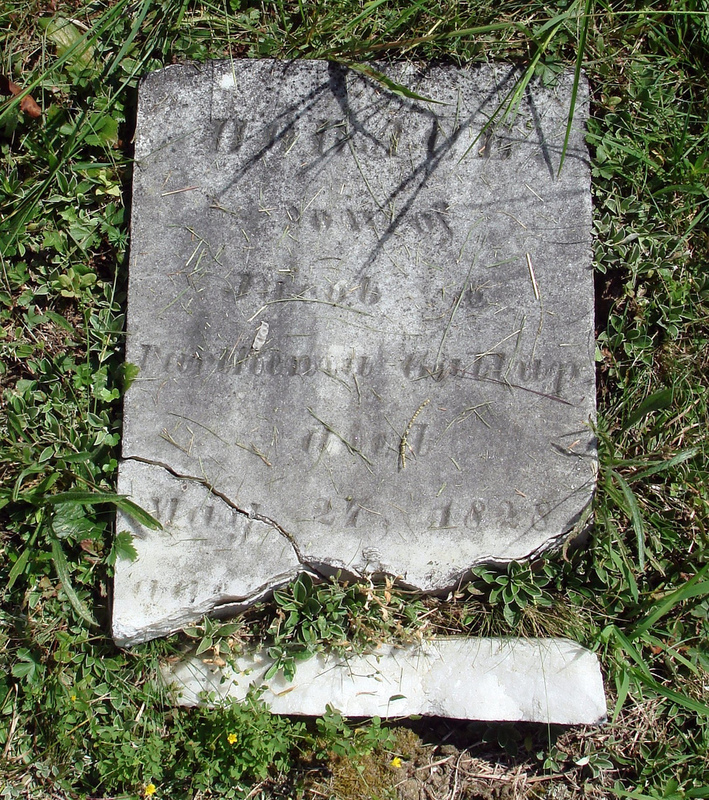 Little Horace Gallup's gravestone is the same style and carving as his brother, Calvin and he was 8 months old at his time of death. His mother only lived a month after he died. We will learn about the lives of Capt. Jacob Gallup and Parthenia, his first wife in 2016.